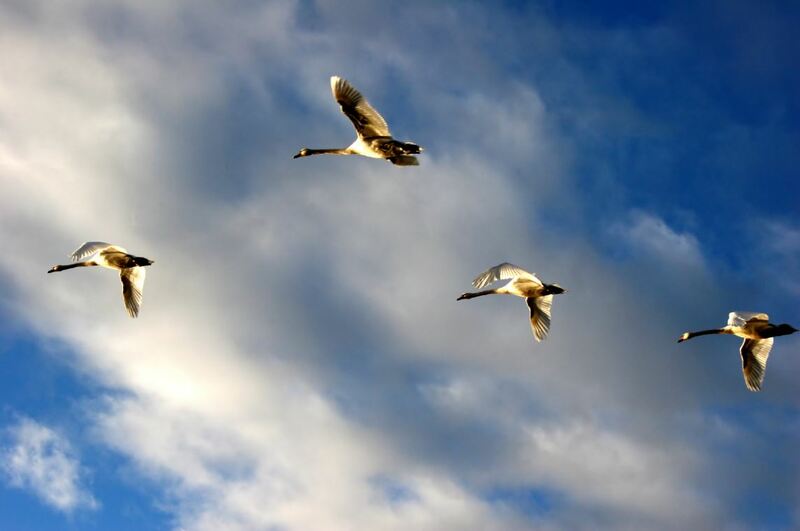 In the fall when you see geese heading south for the winter, flying along in the “V” formation, you might be interested in knowing what science has discovered about why they fly that way. As each bird flaps its wings, it creates uplift for the bird immediately following. By flying in a “V” formation, the whole flock adds at least 71% greater flying range than if each bird flew on its own. This is quite similar to people who are part of a team and share a common direction; they get where they are going quicker and easier because they are traveling on the thrust of one another and lifting each other up along the way. That’s why it’s critical for reflexologists to be a member of their state reflexology association or the Reflexology Association of America or both. In addition, sitting for the ARCB® national board exam and becoming an ARCB® certificant provides support for the individual reflexologist and the profession as a whole. Whenever a goose falls out of formation, it suddenly feels the drag and resistance of trying to go through it alone and quickly gets back into formation to take advantage of the power of the flock. If we have as much sense as a goose, we will share information with those who are heading in the same way that we are going. Becoming an association member or an ARCB® certificant helps keep you informed and involved with regard to legislative activity and educational opportunities. When the lead goose gets tired, he rotates back in the wings and another goose takes over. Rotation shows it pays to share the leadership and take turns doing hard jobs. The geese honk from behind to encourage those up front to keep up their speed. Words of support and inspiration help energize those on the front line, helping them to keep pace in spite of the day-to-day pressures and fatigue. It is important that our honking be encouraging. Otherwise it is just that—well, honking! In order to continue providing support to our profession, your state and national associations as well as ARCB® need you to support them with your time as volunteers. Finally, when a goose gets sick or is wounded and falls out, two geese fall out of formation and follow the injured one down to help and protect him. They stay with him until he is either able to fly or is dead. Then they launch out with another formation to catch up with their group. When one of us is down, it’s up to the others to stand by us in our time of trouble. If we have the sense of a goose, we will stand by each other when things get rough. We will stay in formation with those headed where we want to go. It’s important for reflexologists to stand together in educating the public about our profession, in differentiating it from massage, and in protecting our right to practice in the face of changing legislative requirements across the United States. Due to human trafficking and other violations that are occurring with increasing frequency in many areas of the country, our profession is experiencing more state and local regulatory requirements than ever before. Protecting our right to practice as reflexologists, without becoming certified in massage therapy, is a very real issue today. If you aren’t a member of your state or national association or an ARCB® certificant who will you turn to for help and support if legislative activity could affect your right to practice?